Hundreds of people from all over the world are set to experience all the city of Fremantle has to offer when the Clipper Round the World Yacht Race returns to the Fremantle Sailing Club this December. Clipper Race Founder and Chairman, Sir Robin Knox-Johnston, who this April will celebrate the 50th anniversary of becoming the first person to sail solo and non-stop around the world, said: “Fremantle Sailing Club is an incredible facility and one that the crew enjoyed immensely during our last stopover in 2017. 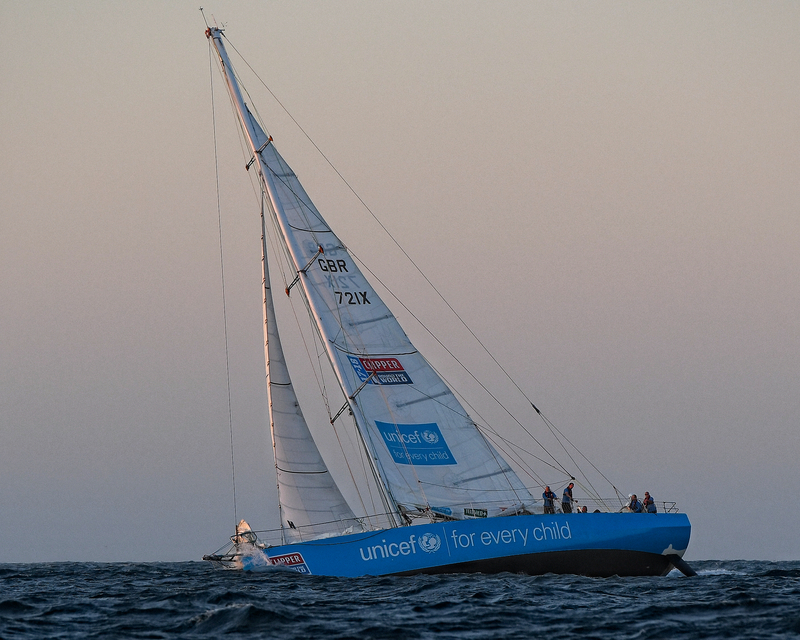 IMAGE: Unicef winning the race to Fremantle in the Clipper 2017-18 Race. Fremantle’s history with the Clipper Race goes back to 2005, with the historic port city the site of the first ever Australian stopover. In total, this will be the fourth visit to Fremantle, while Australia has featured as part of the global circuit of the Clipper Race seven times. The reward at the end of such a tough race will be the beautiful and cosmopolitan city of Fremantle. Located at the mouth of the Swan River and just 30 minutes from Perth, Fremantle is bounded by stunning beaches and limestone cliffs, and is a major port for Western Australia, for both world-class competition and commercial activity. The fleet will be berthed at Fremantle Sailing Club, which overlooks the warm and pristine waters of the Indian Ocean. 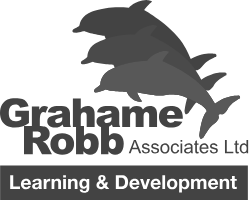 The more than 3,000 members of this friendly club enjoy excellent facilities both on and off the water and have eleven different activity sections, including cruising, dinghy and junior racing, as well as angling and inshore and offshore racing. The FSC members and public will have their first chance to learn more about Leg 3 and the Clipper Race adventure in general on Sunday 31 March, when former crew members will gather at the FSC for its annual Open Day. IMAGE: Unicef celebrating at the Fremantle Prize Giving in 2017. Fremantle Sailing Club Vice-Commodore Mike Walker said: “Fremantle Sailing Club is proud to host the Clipper 2019-20 Round the World Yacht Race. “Following on from a very successful visit to our historic club in 2017, we once again look forward to showcasing our port and venue to competitors, families and friends from all parts of the globe. “Fremantle Sailing Club offers direct ocean access to visiting yachts and our sensational facilities will see competitors and race officials well catered for. Our management and staff have commenced the necessary preparations to ensure this leg is a very successful and memorable one for all involved. 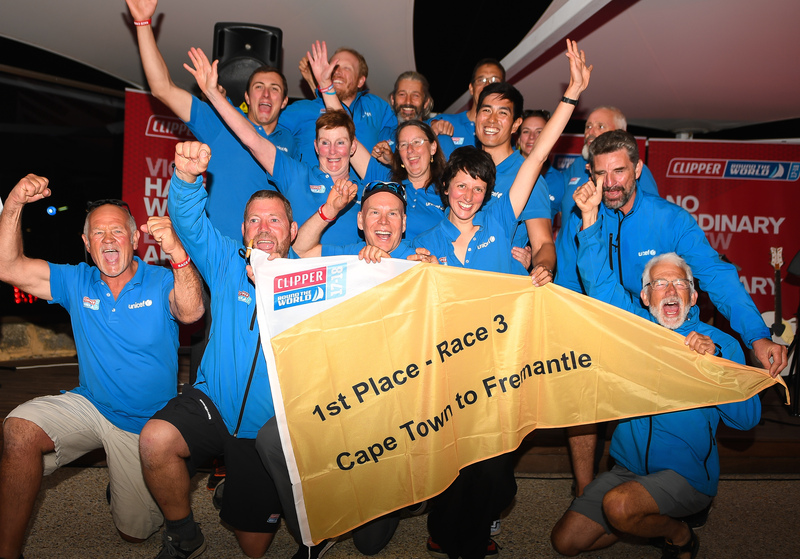 From Fremantle, the eleven Clipper 70s will race around to Eastern Australia, before turning north and crossing the Equator once more towards the first of three Chinese host cities. Today legendary yachtsman and Clipper Race Founder and Chairman, Sir Robin Knox-Johnston, is 80 years young.